The pocket version of the world famous Gerber Moment may be smaller in size but it is no less effective. Easily operated with one hand thanks to the in built thumbstud on the blade, the moment folder is ready at a moments notice and the glass bead finished, drop point blade measures 3 inches, perfect for cutting fishing line, ropes or plat material. 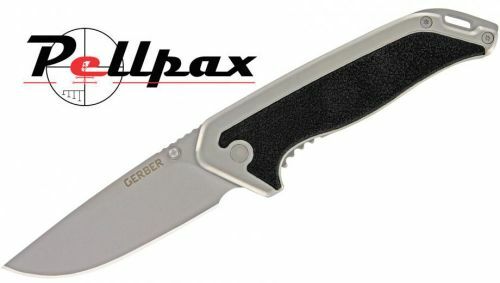 The blade handle is textured to ensure maximum precision whilst the clip attached the end of the handle is easily fed onto a lanyard key ring or other carrying device to ensure the Gerber Moment is always to hand.